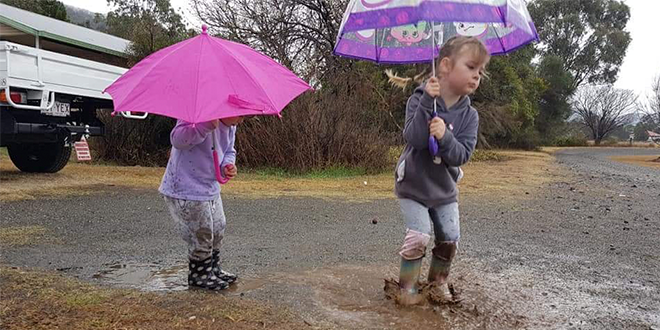 RAIN across parts of southern Queensland has lifted spirits in many dry farming regions – but no more so than in the south-east town of Esk, where a Day of Prayer and Thanksgiving for Rural Communities and Rain has been cause for galvanising and jubilant celebration. In Esk, 100km north-west of Brisbane, last Sunday’s ecumenical event, initiated by the St Mel’s Catholic parish, proved a truly whole-of-community celebration with hundreds of fellow Christians joining from local Anglican, Lutheran, Uniting, Church of Christ, Baptist and New Season churches. “God answers our prayers in ways that we could least imagine and with dimensions far beyond our expectations – and, yes, it did rain on the weekend,” St Mel’s Servant Leadership Team chairman Ken Stevenson said. Mr Stevenson said the effects of drought had taken a toll on local farmers and businesses, and affected the health and welfare of families. Parched conditions also increased the dangers of bushfires, which already had burnt through large tracts of farming land. 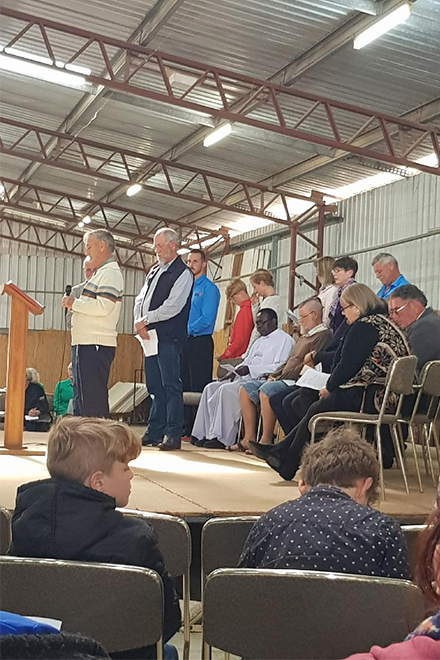 While there have been numerous calls for fodder, water, food and drought relief donations, the response of St Mel’s Parish was to call for a “Day of Prayer and Thanksgiving for Rural Communities and Rain” involving the Christian churches in the area. Light rain had already fallen as 250 churchgoers assembled in the Mears Pavilion at Toogoolawah Showgrounds. Mr Stevenson said it was an “emotive spiritual service of prayer interspersed with rousing chorus of hymns of praise”. “It was so joyful. The turnout was really great,” the recently appointed administrator of St Mel’s Parish Fr Patrick Chukwu said. In the lead-up to the Day of Prayer, posters and newspaper advertisements were widely distributed and Fr Chukwu featured in a radio talkback session on the ABC’s Australia All Over with Ian “Macca” McNamara. Scattered rain has fallen across the Esk parish, which extends from Minden on the Warrego Highway, in the south, to Linville, on the headwaters of the Brisbane River in the north. To the east it borders the D’Aguilar Range behind Brisbane and to the west extends to the neighbouring Gatton parish. Some of Queensland’s worst drought-stricken regions received the highest 24-hour rainfall totals on August 26, with the weather bureau monitoring further potential storms moving across the state. Central Queensland and the Western Downs recorded isolated showers and storms, heavy rains in some parts, and 5-20mm generally.